Yelp stepped into Asia when it launched in Singapore back in September 2012 and now, nearly a year and a half later, it is finally expanding its presence in the continent after going live in Japan. The move — first reported by Tech In Asia — takes Yelp to 26 countries worldwide. Perhaps most importantly however, it puts the company in one of the world’s most advanced mobile markets, since Japan overtook the US on global mobile app spending last year. 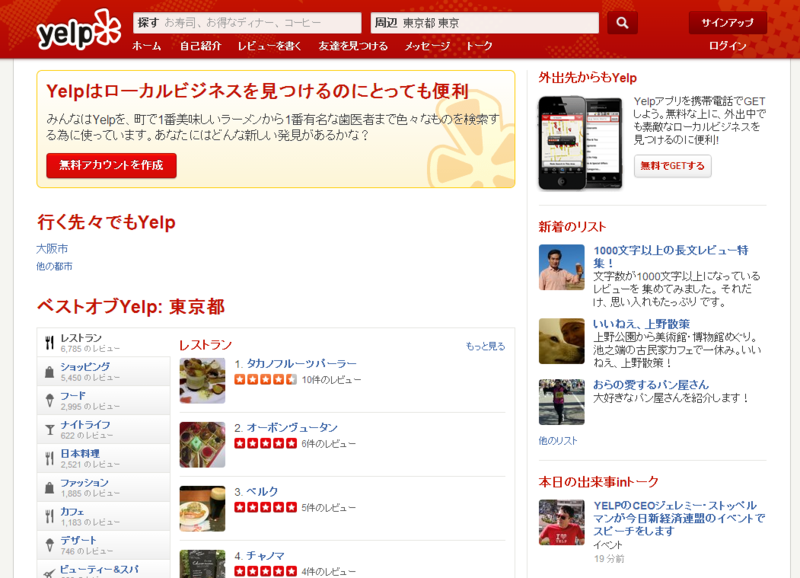 Yelp says it will initially focus its efforts on Tokyo and Osaka, and grow outwards from there. As part of the launch, the company’s Japanese site — Yelp.co.jp — has gone live, and its mobile apps now support Japanese, its first language that doesn’t use the Roman alphabet.